Did you read about the Auto Charge Feature of Bon6 that we spoke about a couple of days ago? Well today was the day we got to unbox, unveil the product. But before we get into the actual unboxing, we had a fair share of excitement on social media platforms for #BonTheOriginal. Loads of followers and mystery-solving geniuses put on their thinking caps to put a name to the product... From Mobile phone to Tablet to Power Bank to some really bizarre ones that we do not want to get into. So when it dawned this morning, I was counting the time until when I could actually open the box and know before the world does what #Bon6 is all about. 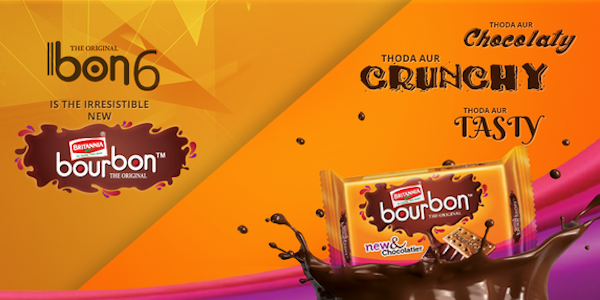 Yes you guessed it right, after watching the video… It’s the #NewBritanniaBourbon biscuit…. 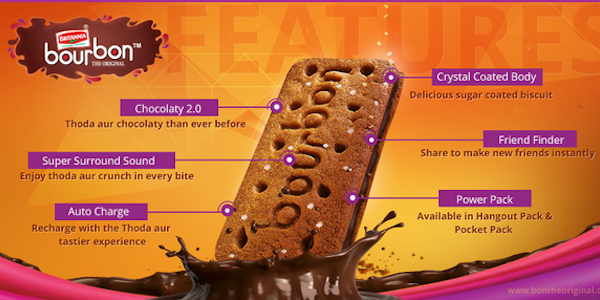 So much chocolatier and creamier… And one mini bite ensures maximum charge. And yes I was right, just looking at it I’ve been powered enough and after a few bites I am auto charged. No plugs, no cables, just a load of yummy fun and I’m ready to hit the road again. Do you want to experience the same? Go grab you pack now!